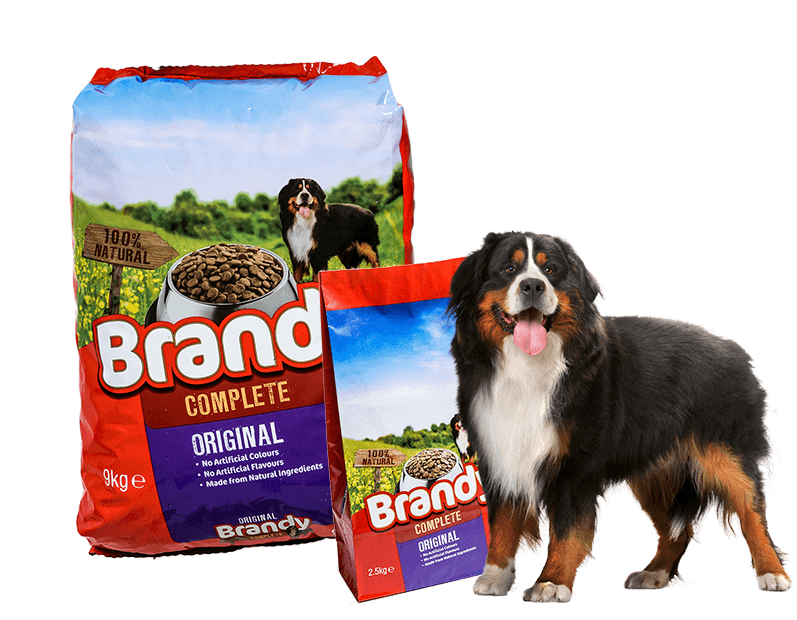 Made from top quality 100% Natural ingredients and manufactured to the highest standards, Brandy Complete will completely satisfy your dog’s nutritional needs. 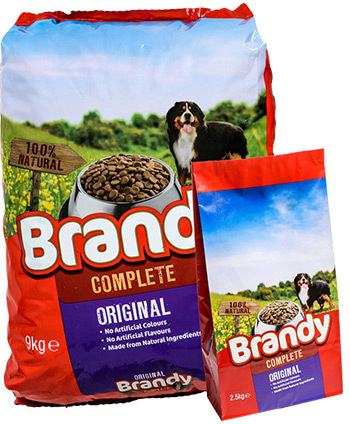 Brandy Complete has recently introduced new improved product formulations improving both the quality and palatability. Feeding trials have confirmed that the improved formulations are feeding extremely well. Brandy Complete is made from top quality 100% natural ingredients and contains no artificial colours or flavours. Composition: Cereals, Meat and animal derivatives (including 4% Beef), Oils & Fats, Vegetables (4% peas), Derivatives of Vegetable Origin, Minerals, Yeasts (0.1%). Additives (Per Kg): Vitamin A 12,000 iu, Vitamin D3 1,200 iu, Vitamin E (alpha tocopherol acetate) 90mg, Zinc Chelate of Amino Acid Hydrate 400mg, Iron Sulphate Monohydrate 166mg, Manganous Oxide 80.6 mg, Zinc Oxide 55.5 mg, Cupric Sulphate Pentahydrate 40mg, Calcium Iodate Anhydrous 3.2 mg, Sodium Selenite 0.2mg, Technological Additives: Antioxidant, Preservative. Protein 21%, Fat Content 8.0%, Crude Fibre 3.0%, Inorganic Matter 8.5%, Moisture 8.5%, Omega 6, 1.6%, Omega 3, 0.3%, Calcium 2%. Provide highly digestible amino acids from animal and vegetable sources to promote muscle growth and repair. Provide energy and Omega-3 and Omega-6 oils for keeping your dog’s skin and coat in top condition. Carefully balanced blend of wholesome wheat prepared for optimum digestion and efficient energy delivery. Selected natural plant fibres, well balanced to promote a healthy digestive system. High quality raw materials with a great taste for extra palatability. For all round health and vitality. Provides adequate levels of calcium for strong teeth and bones. Enriched with antioxidants to help maintain a strong immune system. Important: This is only a guide. Daily amounts can be adjusted to suit the level of activity and physical condition of the dog. All dogs need access to fresh drinking water at all times.